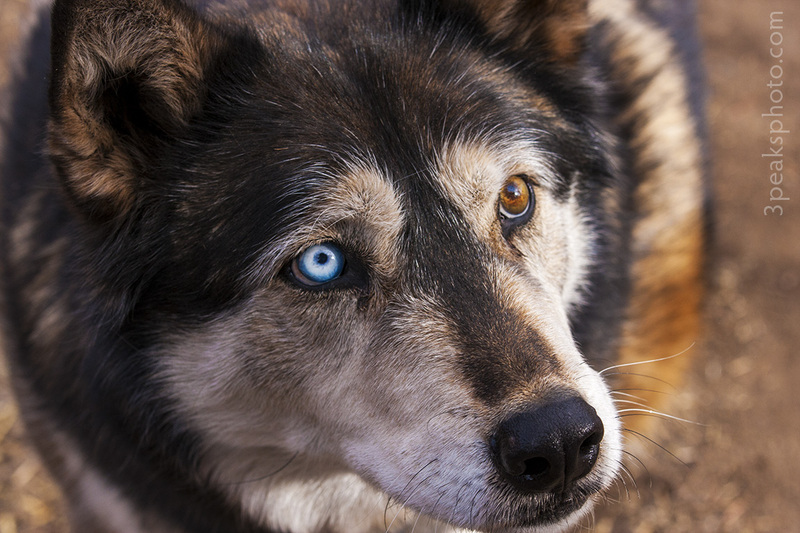 This is Zoya at the Rocky Mountain Wildlife Foundation in Guffey, CO. She is a wolf-dog mix, and yes, she really does have one blue eye and one amber eye. Zoya is the belly rub queen. Once you start rubbing her belly, she won’t let you stop. I made basic adjustments in Adobe Camera Raw. In Photoshop I used the Spot Healing Brush to remove some spots and stray hairs. I added a curves adjustment layer. 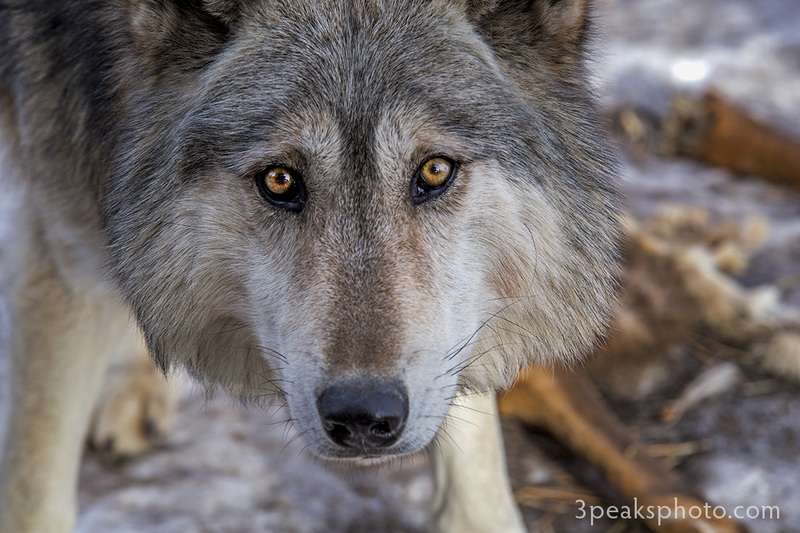 This is Cherokee, a pure-bred timber wolf, at the Rocky Mountain Wildlife Foundation in Guffey, CO. Isn’t she cute? Those who have met Cherokee know she is very sweet and loves to give kisses. I just happened to be pointing my camera at her when she made this face in a split second. I made basic adjustments in Adobe Camera Raw. 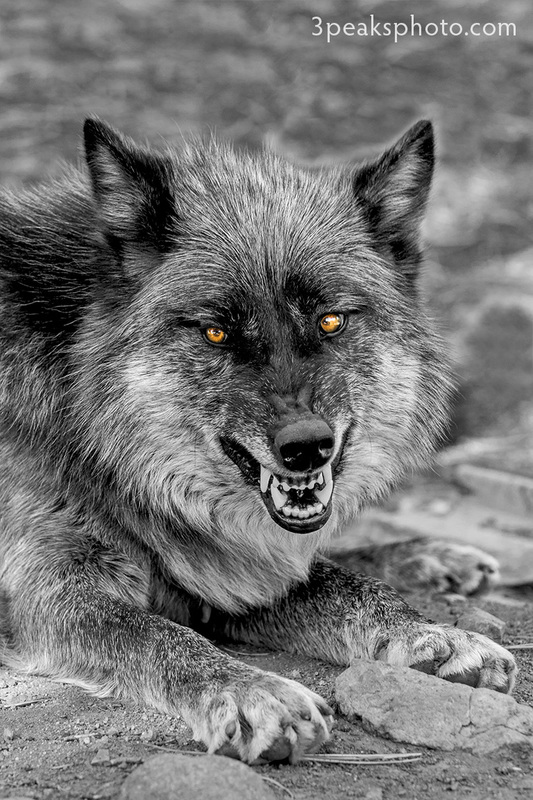 In Photoshop I made a duplicate of the base layer and converted it to black and white. I used a mask to bring in her eyes from the layer below. I also used the hue/saturation tool to remove the blue cast in her eyes that was a result of her being in the shade. 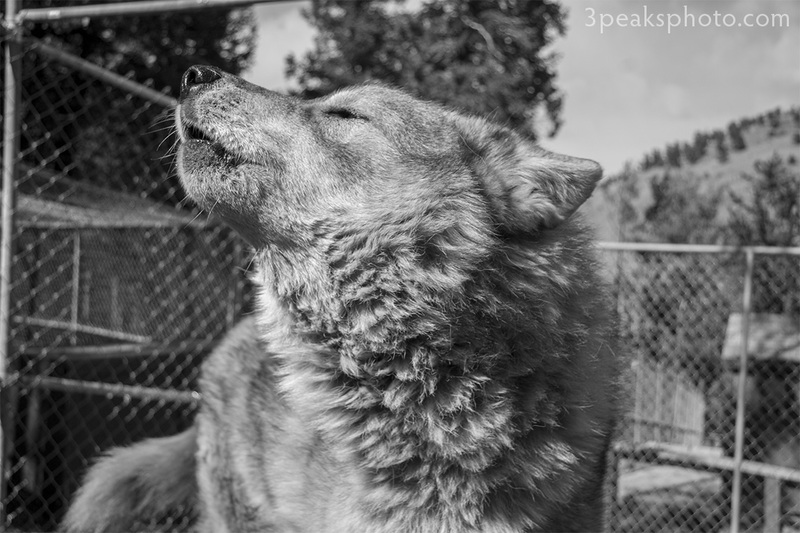 This is Baby getting her howl on at the Rocky Mountain Wildlife Foundation. I made basic adjustments in Adobe Camera Raw and added a black and white adjustment layer in Photoshop. 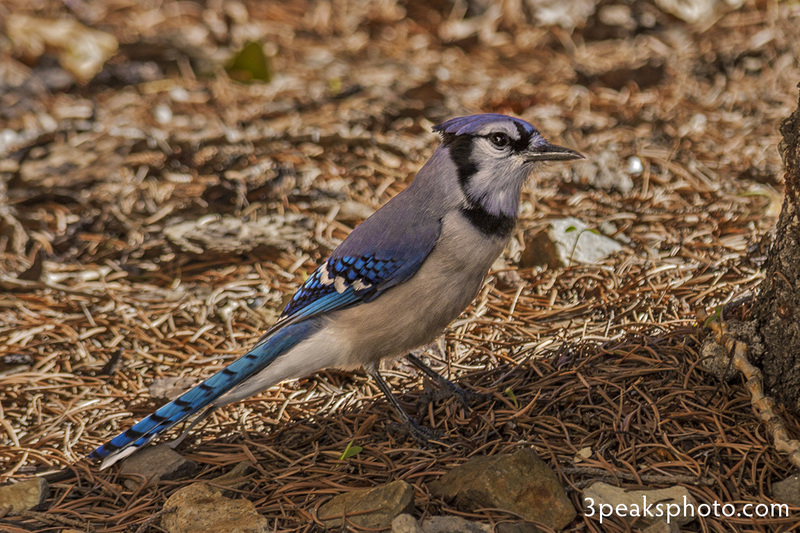 I caught this blue jay wandering around in my yard. 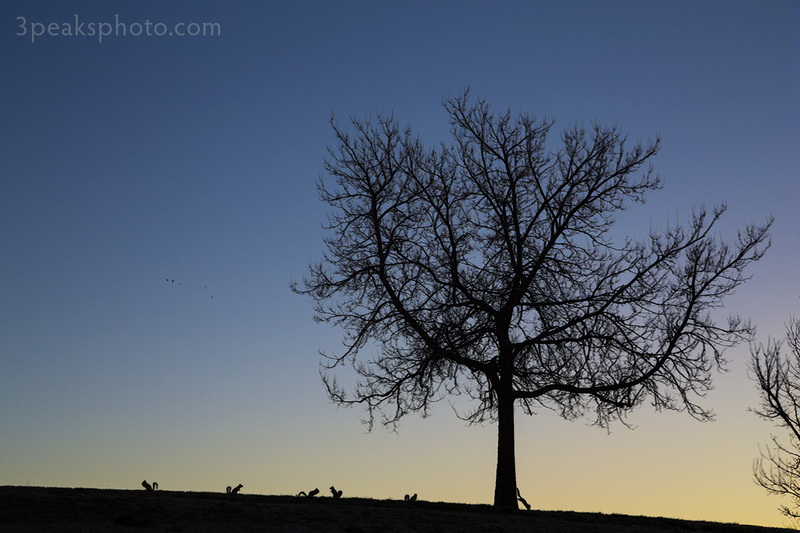 The image was severely backlit since the bird was in the shadow of the tree. I made basic adjustments in Adobe Camera Raw. In Photoshop I created a duplicated layer, then selected the background and foreground so I could reduce the highlights. I reversed the selection and used Levels to brighten up the bird. I added curves and selective color adjustment layers. The squirrel finally found the corn and sunflower seeds I put out a few days ago. He certainly had a good morning. I took 113 pictures of it as it bounced around, and this is a composite of 6 frames. I also caught some birds flying by. I brought the files into Photoshop from Bridge as layers and aligned them. I then changed the blending mode on all of them except the last to darken. I made basic adjustments to the bottom layer with the Camera Raw filter, added a curves adjustment layer and cropped. 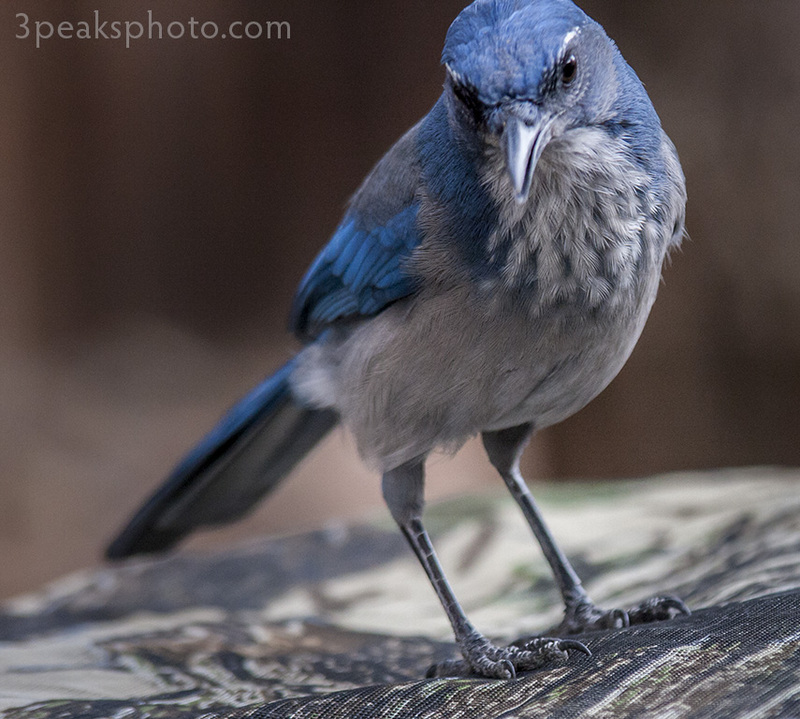 Here is another scrub jay looking for a snack in my yard. I made basic adjustments and reduced noise in Adobe Camera Raw. In Photoshop I used the Dodge tool to bring more detail out of some shadow areas and then cropped. 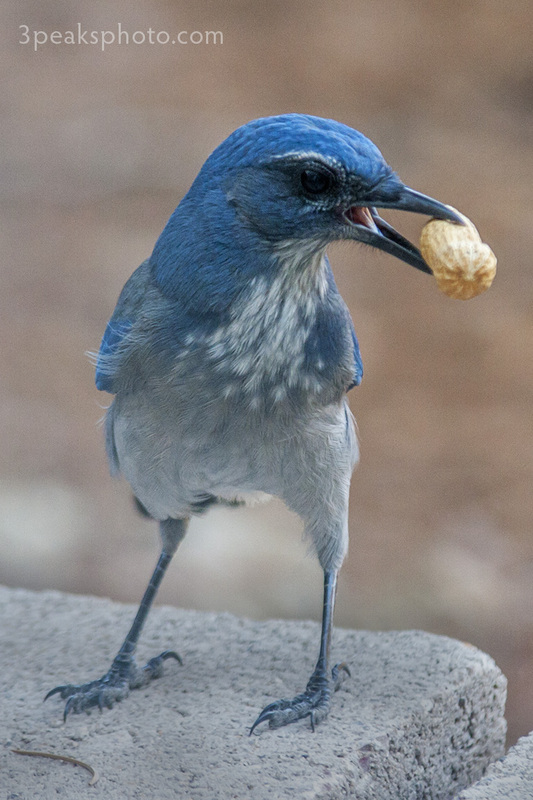 This is a scrub jay grabbing a snack in my yard. I made basic adjustments and reduced noise in Adobe Camera Raw. In Photoshop I used the Dodge and Burn tools to tweak highlights and shadows. I added a curves adjustment layer and cropped. I always tell my photography students to look for “S” curves to add to their compositions. 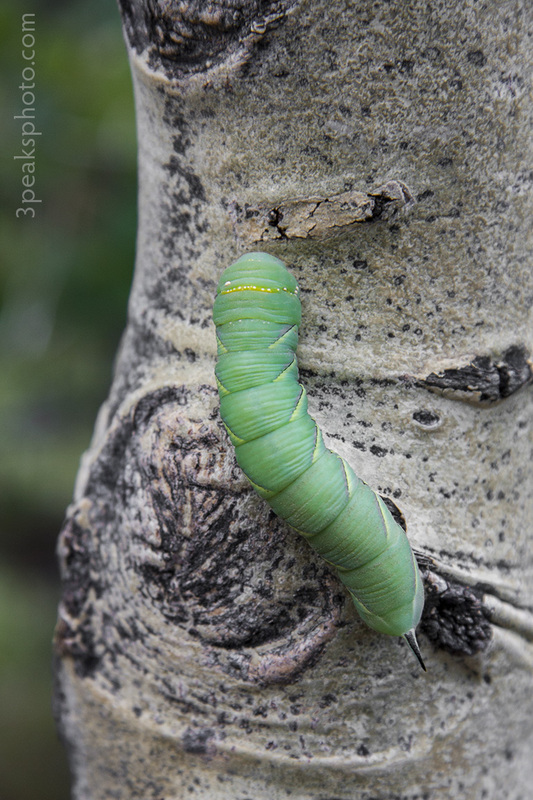 I spotted this guy on the trail to Commanche Lake in the Sangre de Cristo Mountains. This is also the place where I dropped my camera and scratched the lens. I made basic adjustments in Adobe Camera Raw. I added a curves adjustment layer and cropped in Photoshop. I don’t know what you think, but this squirrel looks awful guilty to me. 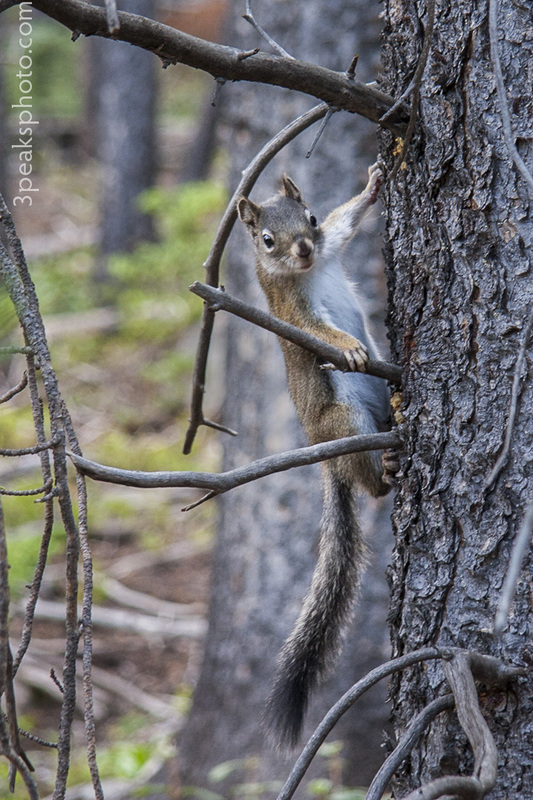 These are the type of squirrels you find in the mountains that chirp at you and make all kinds of racket. I made basic adjustments in Adobe Camera Raw and added a vignettes to darken the background. I used the burn tool to darken some highlights in Photoshop. I then added a curves adjustment layer and cropped.